With a week to go before the Masters, the field at the Valero Texas Open is quite top heavy. Normally that would make narrowing down the list of candidates to win the event an easier task, but who knows how focused any of the top players will be with the Green Jacket on their mind. And with the weather in San Antonio suggesting a low scoring tournament, we could be in for an unexpected result at the end of Sunday. There’s not a whole lot of similar traits that we can draw upon from the recent winners of the Valero Texas Open. Kevin Chappell, Charley Hoffman and Jimmy Walker were winners that came from the group of favorites heading into the event, while Andrew Landry, Steven Bowditch and Martin Laird all were unexpected winners. Adding to the frustration is that there isn’t much commonality in how they won. Martin Laird won the event in 2013 on the back of his putter and his driver. Steven Bowditch won in 2014 with his irons and by leading the field in Strokes Gained – Around the Green to overcome a negative performance putting. Jimmy Walker used a molten hot putter in 2015 to run away from the field. Charley Hoffman didn’t finish inside the Top 5 in any Stokes Gained statistic in 2016. Kevin Chappell won in 2017 on the strength of his driving and his approach shots. And Andrew Landry won last year’s even on the strength of his irons and his putting. 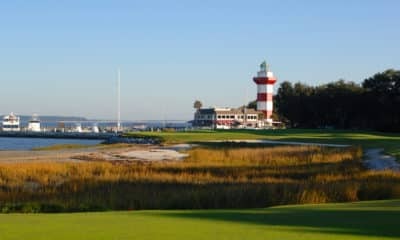 If you’re reading this and would rather save your money for next week’s Masters or devote it to the Final Four this weekend, I wouldn’t really blame you. While as I’ll discuss below there’s some pretty good matchup opportunities this week, we’re just as likely to see one of the favorites or a deep long shot take home the trophy this weekend. But chances are you’re a degenerate looking for a longshot to infuse some much needed capital into your account before the biggest event of them all. 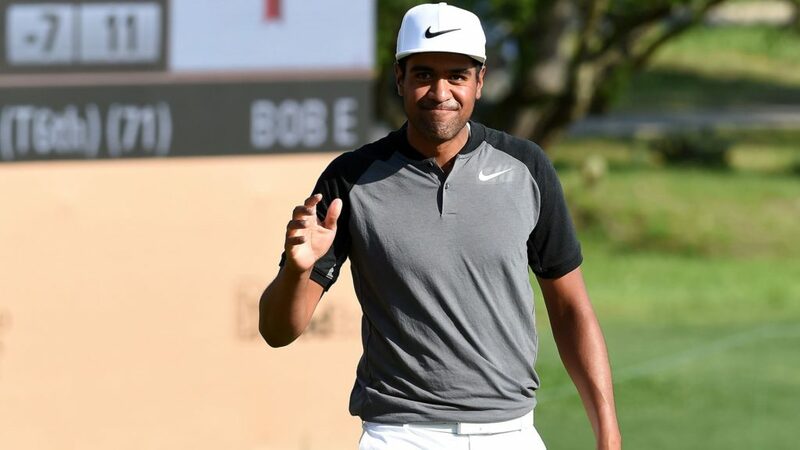 Tony Finau – 16/1: I’m not all that thrilled about the Big 4 favorites this week at TPC San Antonio. 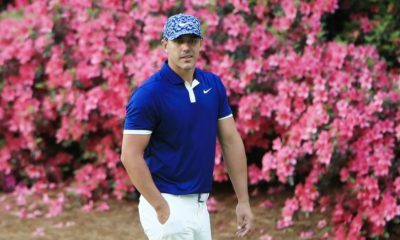 Fowler traditionally likes to play the week before a major, but with not a whole lot in the golf course that can translate to Augusta I expect him to be in cruise control this week. Same goes for Matt Kuchar, who I’m surprised hasn’t withdrawn from the event given he went to the finals of the WGC – Match Play and could use a little R&R to prepare for the Masters. And as for Jordan Spieth, well, the only reason why he’s there is because he’s sponsored by AT&T (who’s name is attached to the Oaks Course), and there is very little in his form to suggest he’s anywhere close to contending. Tony Finau, however, could probably use some positive momentum heading into the Masters. He hasn’t posted a Top 10 in a full field event since the WGC-HSBC Champions last November and has been a relative afterthought in 2019. He hasn’t been able to put together a strong finish in part because he’s failed to match up good ball-striking tee-to-green with solid results on the greens. I have a hunch that changes this week as he gets his game in gear and carries himself to a long overdue win ahead of the Masters. Jim Furyk – 30/1: A year ago we saw Ian Poulter needing a victory as the only way to get into the Masters, and he did just that at the Houston Open to book his ticket to Augusta. I like the similar parallels to Jim Furyk’s predicament this week at TPC San Antonio. Furyk needed to advance to the knockout stage at the WGC Match Play to return to Augusta, but he was throttled by Henrik Stenson on Day 3 of pool play to leave him just short of advancing. Furyk has played tremendous golf over the last month, and with the extra motivation to play in next week’s major I expect him to lay it all on the line to try and get the victory. Lucas Glover – 33/1: The last time I rode the Lucas Glover train was back at the Players Championship, and he rewarded me with his worst performance of the year to unceremoniously miss the cut. 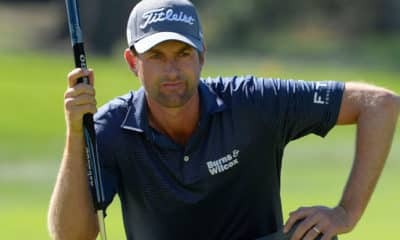 But he bounced back the next week with a solid T13 finish at the Valspar, and his usually reliable ball-striking returned as he averaged over two strokes gained tee-to-green in the event. I’ll ride him one more time in hopes he can find just enough with the flatstick to send him back to Augusta National. Byeong Hun An – 33/1: An looked like a shoe-in to get back into the Masters, but he just missed the Top 50 cut off in the final OWGR list in December and then again following the WGC Match Play. There’s not a lot of golfers striking the ball better tee-to-green in the world than An, but he’ll have to putt much better than he has if he wants to return to Augusta National. Still, he should step up his game this week to make me like his price against a very weak field. 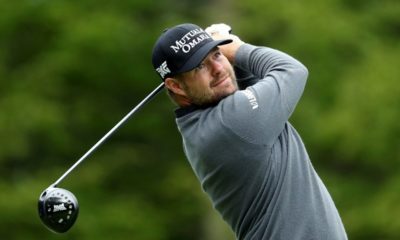 Ryan Moore – 35/1: Ryan Moore is another golfer playing well of late that is on the outside looking in from playing at Augusta National. Over his last four tournaments he’s averaged just under a stroke gained tee-to-green, however that hasn’t translated to a whole lot of strong finishes because of some inconsistent putting. At a venue he’s had good success at and a chip on his shoulder, I like him to put it all together for a decent showing this week. Luke List – 50/1: Has the ball-striking and length to win this event, but he’ll need his putter to show up. Ollie Schniederjans – 70/1: He’s missed the cut in four of his last seven tournaments because he’s countered terrific ball-striking for awful putting and vice versa (which has been a theme of his over the last 18 months). He seems close to putting it all together to vie for his first victory. Joaquin Niemann – 75/1: His terrific ball-striking has been largely negated with some awful putting, but he’s been a little better of late on the greens and has loads of raw talent to be a consistent winner on the PGA Tour. Chesson Hadley – 80/1: Has struggled a bit of late, but he has a decent history at TPC San Antonio and his ball-striking and putting has been mostly solid this year. Ryan Palmer +1.5 Strokes (-135) over Daniel Berger: I already featured the reasons why I like Ryan Palmer this week in the DFS column. As for Berger, it’s a shame that he hasn’t been able to return to form after such a promising start to his career. It still seems like he’s battling the effects of the wrist injury he sustained last summer and both his ball-striking and putting in 2019 has been very subpar. While a bettor can save some juice by taking Palmer -105 for the straight up win, I’ll be conservative with this one and grab 1.5 strokes against Berger in the event. Rickie Fowler -135 over Matt Kuchar: I just don’t see a whole lot of incentive for Kuchar to give it his all this week in San Antonio. His form is already red hot and he just came off playing all five days of the match play, including going almost 72 holes over the weekend. It’s not like there’s anything to prove for him at the Valero. While I don’t have a ton of expectations for Fowler, I still expect him to coast to a ho-hum Top 25 finish, while on the other hand I expect Kuchar to keep his bags on the Netjet so he can land in Augusta by Friday evening. Jhonattan Vegas +1.5 Strokes (-140) over HaoTong Li: Vegas has been in great form of late with five Top 30 finishes in his last six starts that also includes a T3 finish at the Players Championship. Over that stretch he’s averaged just under a stroke gained tee-to-green on the field and has the extra incentive of needing a victory this week to qualify for the Masters. As for HaoTong, while he’s a talented player he hasn’t been able to translate his success overseas to the PGA Tour. With his invitation to Augusta National secure, he’s really only playing this week to accumulate starts in order to obtain temporary membership on the PGA Tour. Vegas should keep it within 1.5 strokes of HaoTong this weekend, and if you want to save some juice the -110 standard head-to-head price offered isn’t a bad option either.